This course provides students with a strong foundation in core business components while providing options to study either Marketing or Law. 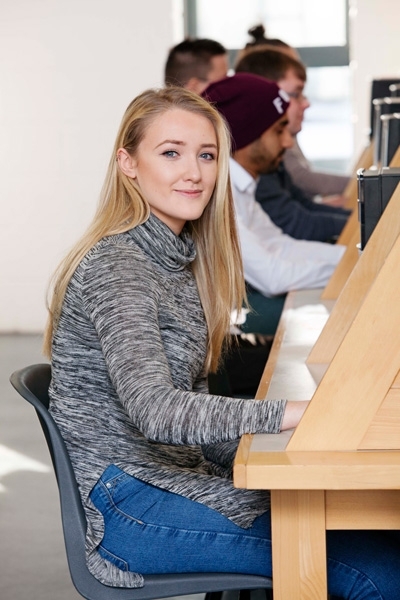 This approach allows for flexibility in the area of business in which students may ultimately wish to specialise through further study or career choice. It will also benefit learners who wish to achieve a qualification that recognises their experience. The course is specifically designed to reflect the ever changing world of business practices and the broader business environment. This is a one year course but students on completion of year one may progress to Business Studies 2 Level 6, at CSN. Leaving Certificate or equivalent. All applicants are interviewed and places are awarded on suitability. Mature students without formal qualifications are most welcome to apply. This subject examines areas such as advertising, promotion, market research, sales and consumer behaviour. Provides students with the skills to use a range of social media, e-marketing tools and to plan a digital marketing campaign. This subject examines the legal structures in Ireland, outlines the role of the Irish Constitution and the Personnel within the system. It also explores the area of Tort Law, Family law, Criminal law, and the impact of European Union law in Ireland. Examines the impact of the law on the business environment. The subject introduces the learner to Contract law, Consumer Law, Company Law and Employment Law. Enables the learner to apply economic thinking to current issues. Equips the learner with the skills and competence to produce documents to a professional standard. Provides students with the knowledge, skill and competence to prepare financial statements for organisations both manually and using integrated accounting software. Applies a broad range of mathematical skills and tools to a wide variety of contexts, with theoretical understanding. Work-placement is in a legal or business environment. The placement is normally undertaken over 10 Wednesdays. Students are required to compile a profile of the company and keep a log of their experience. This subject aims to strengthen the oral and written communication and presentation skills needed in the workplace. Students attend specific court cases throughout the year in the District, Circuit and High Court. Various guest speakers such as An Garda, Mná Feasa, Victim Support, Barristers and past students give lectures throughout the year. We also visit Cork Prison and the Law department in UCC during the academic year. This course combines a thorough grounding in business skills with an understanding of key marketing principles and an appreciation of the emerging fields of social media and digital marketing. Career opportunities in the legal area include: Insurance, Solicitor’s firms , Auctioneering firms, Legal Aid Centres, an Garda Síochána, Metropolitan Police UK and Accountancy Firms. Career opportunities in the marketing area include working in diverse organisations within the field of marketing and sales as well as a range of services, tourism, exporting and manufacturing organisations and the digital marketing field. UK Universities: LLB in University of London, Sunderland University and others. This course will provide an excellent platform to anyone whether you’re a mature student or school leaver entering the job market for the first time. Since doing this course I have gained employment with a global financial services firm which was my ultimate goal. This course has improved my overall business knowledge, communication and customer service skills which is an integral part of my job as I deal with international clients day to day. The subjects offered are interesting, wide ranging and have provided me with a deeper understanding of the Irish legal system and business environment. 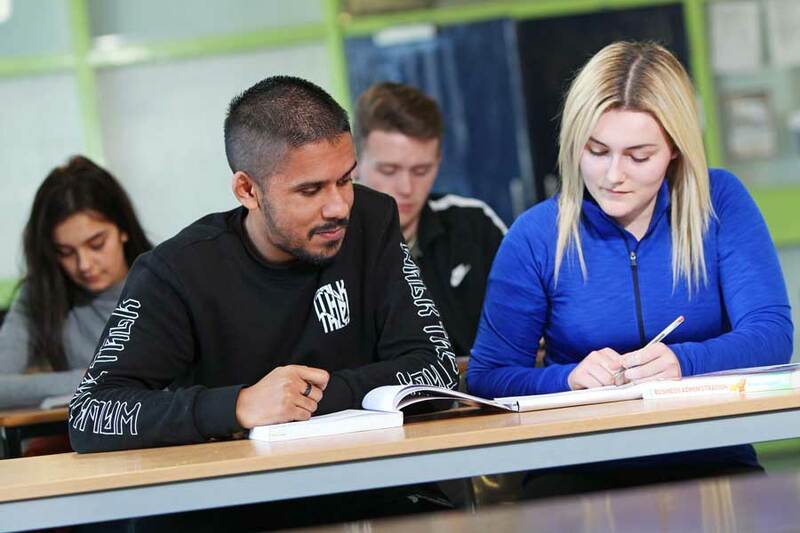 I have always had an interest in law and business and this course enabled me to combine the two, and at the same time maximise my job prospects. From the outset I had no intention of continuing my studies as I wanted to enter the workplace as soon as I completed my diploma, but If you do chose to continue your studies, it does give students a great platform to build upon, especially as law and business can be very complex. Another great aspect of this course is that it enables students to gain valuable real life work experience for a few months during the year. Returning to college at 27 as a mature student was a daunting prospect, but my fears were soon allayed when I learned roughly half the class were mature students and everybody supported each other which was great. The tutors are attentive and are always willing to help out and offer advice regarding class work and assignments. This was my 2nd time attending CSN, I first attended in 2000 doing the Music Management and Sound course immediately after completing my leaving certificate. In conclusion, you will get from this course what you put in, work hard, and hopefully it’ll be the first step to a long and successful career in whatever discipline you chose. In 2005 I decided to go back to education and study the theory of what I had been practicing. Although I had never studied business before, I had managed businesses for 8 years prior to starting the course, so I was unsure how much I would gain from it. I found it to be a great all-round business course, giving me a good foundation in Accounting, Marketing, Business Law and Administration. The teachers were all fantastic, very encouraging and enthusiastic. It gave me the confidence to take the plunge and open my own business and thankfully I haven’t looked back. Judy Howard. Proprietor of Market Lane Restaurant, The Castle Café in Blackrock Castle, Orso Kitchen and Bar and Elbow Lane Brewhouse.